So Atticus, one of Rome's few experienced sailors, finds himself propelled into the middle of a political struggle that is completely foreign to him. Rome need to build a navy fast but the obstacles are many; political animosities, legions adamant that they will only use their traditional methods; Roman prejudice even from friends, that all those not born in Rome are inferior citizens. The enemy are first class, experienced and determined to control the seas. 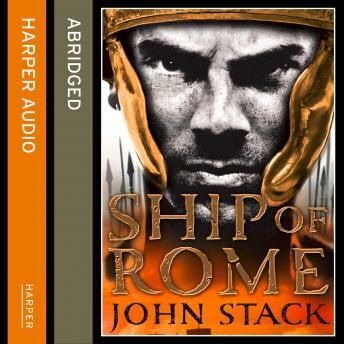 Can Atticus, and the fledgling Roman navy, staffed with inexperienced sailors and unwilling legionaries, out-wit and out-fight his opponents. SHIP OF ROME, full of magnificent sea-battles, packed with strong characters, torn between two powerful empires, is the first book in a new series, MASTERS OF THE SEA, by a brilliant new author.